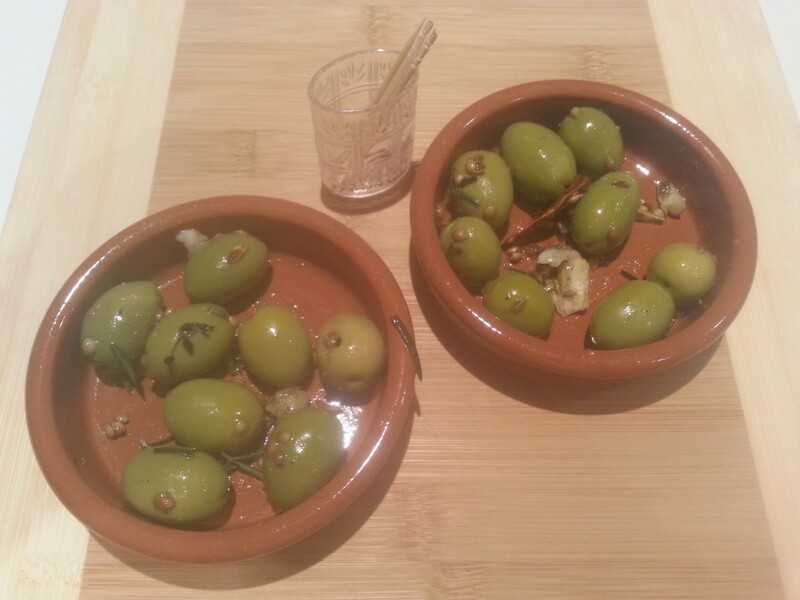 When it comes to my favourite nibbles with a glass or two of wine I have two go-to recipes – roasted, spicy almonds and marinated olives. Both have health promoting benefits (unlike potato chips). 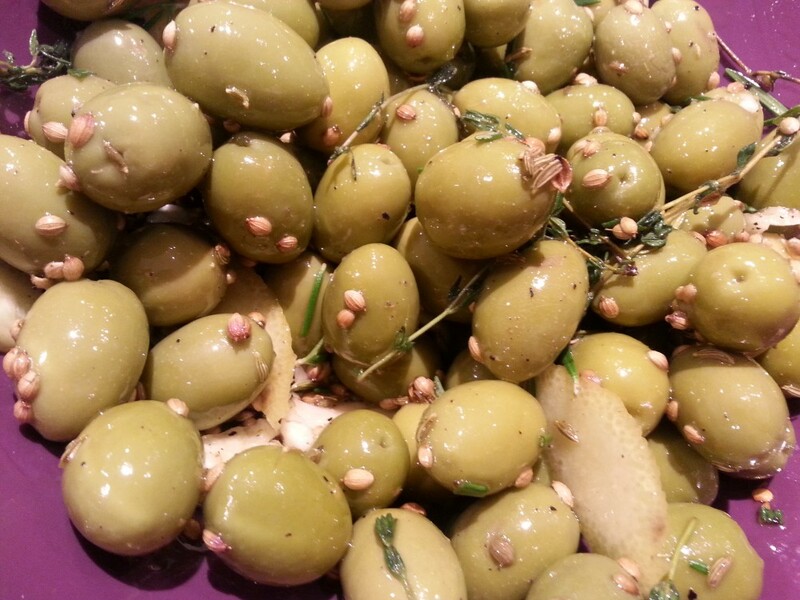 Here you’ll find an easy recipe for marinating your own olives. Olives, an essential part of the Mediterranean diet, are rich in health promoting monounsaturated fats. Search online and you’ll find realms of research that supports olives as part of a balanced diet. With these health benefits in mind too often I’m shocked to discover that the marinated olives sold in supermarkets (and even in speciality stores and providores) are marinated in vegetable oil. I’m not going into the dangers of vegetable oil here but rest assured I’ll do anything to avoid the stuff. I’d rather give olives a miss than eat those covered in vegetable oil. That’s why I got into marinating my own. 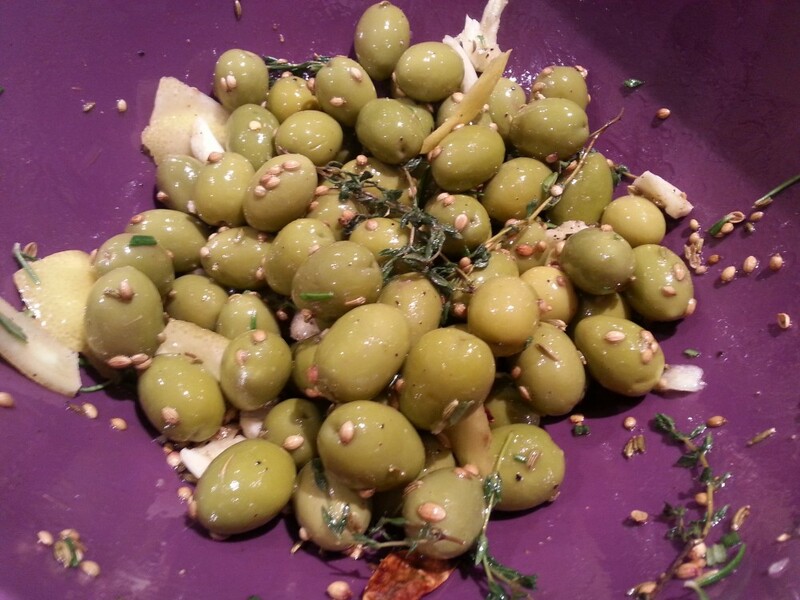 If you love olives but feel too busy to marinate your own then try this recipe and you’ll quickly change your mind. Using a sharp knife cut a slit in each olive lengthways through to the stone. This allows the marinade to penetrate. If you’re pushed for time and your olives will marinate for more than a few days you can skip this step. Add the garlic, herbs, lemon (or orange) rind, ground spices and chilli flakes (if you’re using them). Mix and then cover with a generous pour of olive oil. 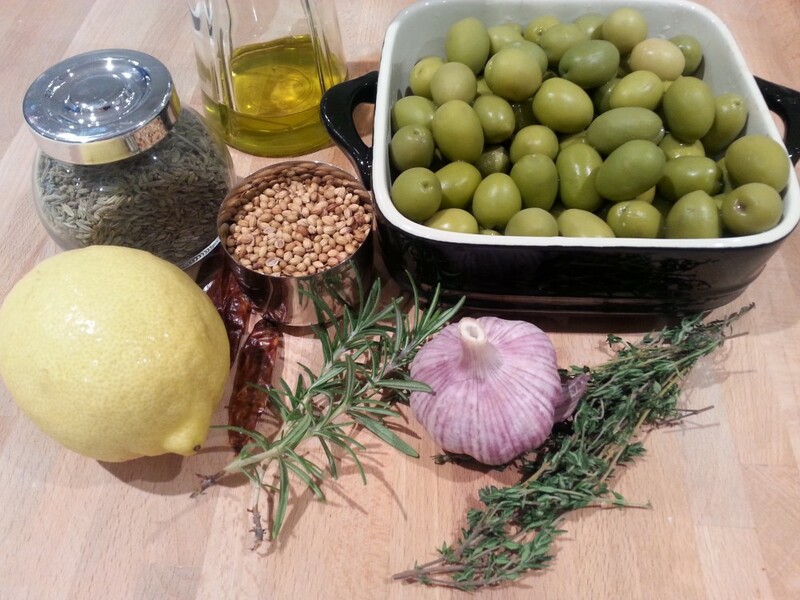 If you’re marinating for more than a day then completely cover the olives with oil (they marinate well for a few weeks). Store the mixture in a glass jar in the refrigerator. Give the jar a gentle shake occasionally to re-distribute the ingredients. Remove an hour before serving to allow the olives to come to room temperature. Serve your olives with cocktail sticks and a small bowl for the stones. 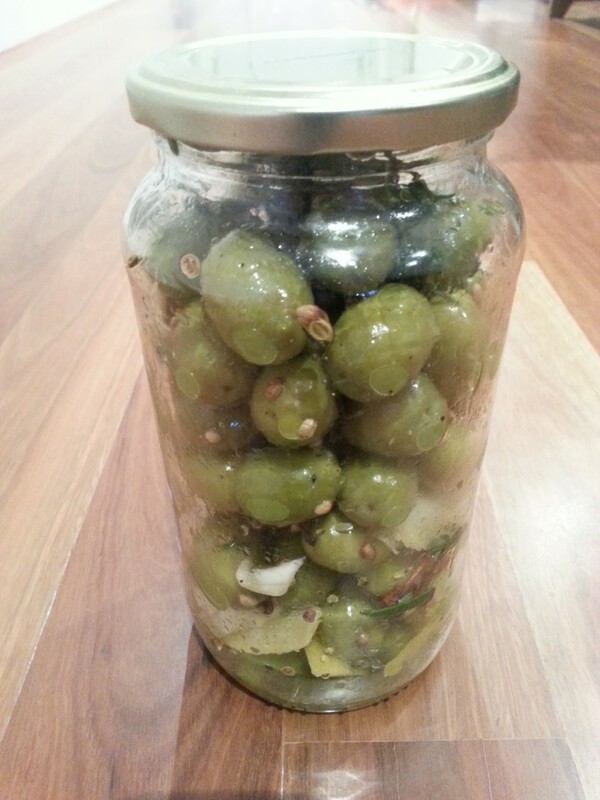 Tags: chilli, garlic, herbs, Kalamata, Marinated olives, recipe, Silician. Bookmark the permalink.